Any drawing with block references that contain attributes can be imported and exported to .csv and .xlsx format. All attributes from model space and all layouts can be exported from the active drawing, or by using the appropriate command to export by selection or block name. The resulting file can be edited in a flat file format and then re-imported to update the attribute values in the drawing. An example of usage might be to keep title block information on all layouts up to date. Export title block attributes by using a command to select the title block definition by block. The resulting export would include all instances of the block in a flat file format, with the layout name and all attribute tags as columns. The attribute values can be easily edited and then re-imported into the drawing after closing and saving the edited file. As layouts and revisions are created and updated, repeat as necessary. Exporting data from the Cadgen Quick Label addin, freely available in the Autodesk® App Store. Data exported includes all properties added to block references, associated group and sequence labels, and orthogonal and direct unit lengths between blocks sequentially associated in a group. An example of usage might be to use the Cadgen Quick Label addin to indicate the order of electrical lights on a circuit. Use the 'cgexquicklabeltoexcel' command to export the stored data to an .xlsx file. Use the data to create accurate schedules, calculations and reports with the exported group and sequence labels, length between block references, and custom properties that are available in the raw data export. Repeat the process to get the latest data exported from a drawing edited with the Quick Label addin to quickly and easily apply to your own report creation process. The columns above are used to re-import the data and apply attribute values to the correct block. The values should not be modified or deleted. Additional columns will be added for each attribute tag name in the selected export blocks, and the values of each attribute can be edited and re-imported. When exporting to .xlsx files, a worksheet is added for each group. Blocks added to multiple groups will appear on more than one worksheet. Additional columns will be added for each visible or hidden custom property added to the block references that appear in a group. This data can be used for custom report or calculation in your own template, and modifications can be made with the free Cadgen Quick Label addin. Exports all Cadgen Quick Label data for the selected block references in the current drawing to a .csv file. Exports all Cadgen Quick Label data for the selected block name in the current drawing to an .xlsx file. Exports all Cadgen Quick Label data for the selected block name in the current drawing to a .csv file. Exports all block reference attribute data in the current drawing across all layouts to a .csv file. Exports all attribute data for the selected block name across all layouts in the current drawing to a .csv file. This is a useful method for updating title block attributes on all layouts. Exports all Cadgen Quick Label data in the current drawing to a .csv file. The Cadgen Quick Label addin is freely available in the Autodesk App Store. Exports all block reference attribute data in the current drawing across all layouts to an .xlsx file. Exports all Cadgen Quick Label data in the current drawing to an .xlsx file. The Cadgen Quick Label addin is freely available in the Autodesk App Store. Imports modified attribute data from an exported .xlsx file or .csv file. Exports all attribute data for the selected block name across all layouts in the current drawing to an .xlsx file. This is a useful method for updating title block attributes on all layouts. Exports all Cadgen Quick Label data for the selected block references in the current drawing to an .xlsx file. 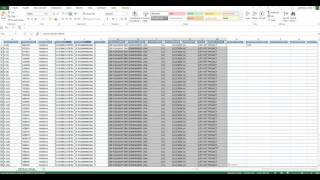 Exports all attribute data for the selected block references in the current drawing to a .csv file. Exports all attribute data for the selected block references in the current drawing to an .xlsx file. Install using the downloaded application installer. Uninstall or repair the installation using Add/Remove Programs in the Windows Control Panel. Autodesk® AutoCAD® 2015-2019 product compatibility. Added context help to ribbon commands.